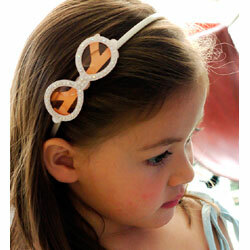 Look chic with our crystal sunglasses headband. It's really a show stopper! Made of acrylic with Swarovski crystals. 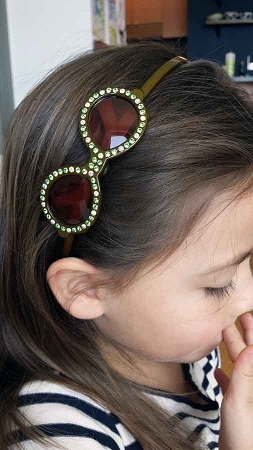 Sunglasses 3.25" long x 1.25" tall.